It's here! Now you can have the Original Trump Toilet Brush! Are you tired of cleaning the toilet with the same old boring brush? Dies it have you down in the dumps? Are you pooped just thinking about cleaning your toilet? Well, folks, the Trump Toilet Brush makes cleaning your bowl great again! Everybody poops, therefore, everybody needs to clean their toilet. So, why not make it enjoyable? 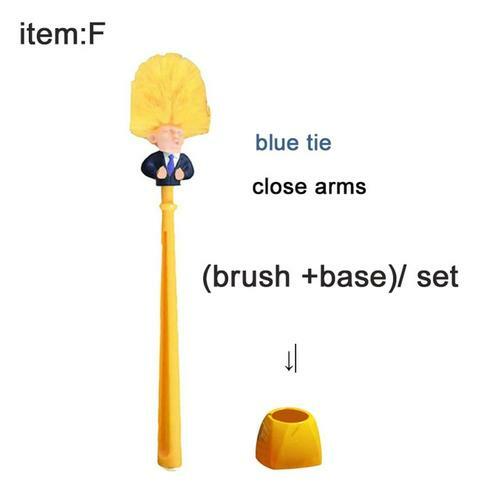 This whimsical Donald Trump toilet brush will have you looking forward to clean your toilet!